This is an interesting way to fight back. Airbnb is going to build their own apartments and lease them out to tenants who can, in turn, rent them out to Airbnb guests. 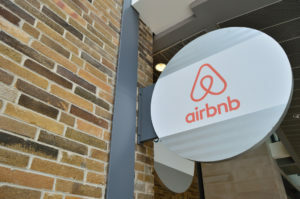 There have been multiple attacks on Airbnb operators in various states and cities as of late — from fining operators $7,500 in New York to requiring quarterly reports from every Airbnb operator in Las Vegas. Why would Las Vegas want such reporting? As with many other cities, they want their taxes. Airbnb has found an interesting way to get around government regulations. How is it that the government always seems to get a piece of our private businesses over and above our income taxes? I guess it’s because they can and do. They never miss out on getting — or more accurately, taking — their share, whether it’s justified or not. We looked long and hard a few years back at this model for our first fund, ROI Strategies. We liked everything about the model except one thing: government. That was the wild card, and because it was still so new, we knew there would come a time of greater regulation. At the very least, we figured they were going to put their hand in the pie and take their piece. It’s probably still a great model on more of a mom and pop scale. I know a lot of people who rent their vacation home out on Airbnb so they can have it paid for by the Airbnb guests. Not a bad way to go. The company plans to build a 324-unit apartment building near Walt Disney World Resorts in Kissimmee, Fla., and says it plans to build more in the near future. The first building in Florida will be called Niido Powered by Airbnb and will open in early 2018. Tenants will be able to rent out their units for up to 180 nights every year. Tenants will have access to an app to manage guest stays remotely, oversee check-ins, and arrange for cleaning and linens services. Tenants who rent out their apartments on Airbnb will share revenues with their landlord. Tenants keep about 75 percent of the revenue they bring in from renting it out. “This partnership shows how landlords, developers, and Airbnb can work together to create value for everyone and better serve tenants,” Jaja Jackson, Airbnb’s director of global multifamily housing partnerships told CNNMoney. Airbnb says it is planning a series of developments to support its home-sharing model. The firm plans to first target the southeastern U.S. and then expand to markets like Nashville, Charleston, and cities in Texas, Hernandez told CNNMoney.